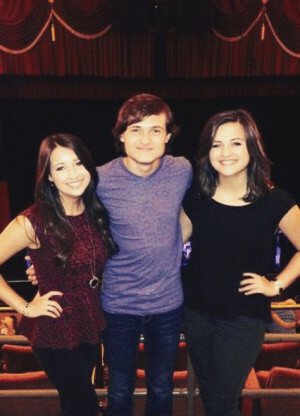 This sibling group of youngsters, Delaney, Zachary, and Erika Daves blends their voices together as if they were born to, (Well In Fact They Were). Brother and Sisters together they form Daves Highway which brings some if not the best harmony of any youngsters I have ever heard! Rivenmaster’s Place is always happy to find youngsters at the beginning of their musical careers. For this site, there is no greater pleasure than following and observing their development from young budding musicians into real super stars. Today’s featured guests are more than just amazing young musicians and vocalists. They are wonderful human beings who are making a difference in the world through their music and moral character. 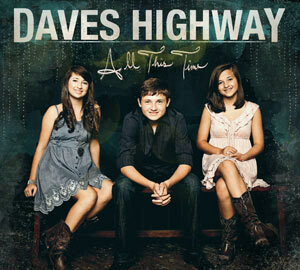 When I first discovered Daves Highway’s music, they were just young kids doing their thing on YouTube. However, it was not hard to see from their first cover songs that these young people had a special relationship with God, family, and life in general. Their cheerful dispositions, warm personalities, polite responses to comments, and willingness to share with others, convinced me to become a loyal follower and fan for life. 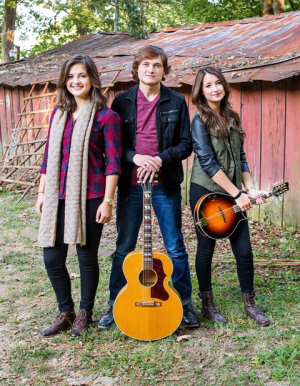 Apparently I was not alone, as it was shortly after the release of our first article about them entitled “Mississippi Music Magic” published to Theskykid.com, that Chris Tomlin took notice of their first cover of his song “Jesus Messiah”………….the rest is history. 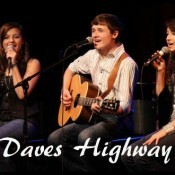 Now in their first years of College, Daves Highway has grown into a famous professional young adult singing group. 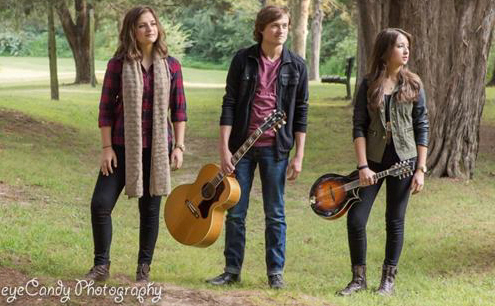 While this website will always remember them as cute little preteens just staring out, what we now hear is one of the most unique and amazing Christian crossover singing groups this country has ever produced. It is with great pleasure that today I offer their full update presented exactly as it was given to me for your reading pleasure. I trust, if you have not already joined their thousands of fans that you will by the end of this article. “It’s been so long since we were “discovered” by our friend Rivenmaster. He posted our story from the very beginning way back in 2009. Since then, so much has changed for us. We’ve gone from a home school to attending college. We’re approaching 200,000 Facebook fans and have over 15 million video views, 4 studio CDs, and have written lots of songs. And, now we’re kind of waiting to see where our music career might take us next. We’re hoping for a quick departure from college and onto a tour bus, but you never know. We’ve played for thousands of people across the country, primarily in the southeast and have visited 12 states so far. We’re about to head up to New York to play a concert at “The Brooklyn Tabernacle”, which is very exciting for us. Our journey has enabled us to reach a lot of people and hopefully has demonstrated that the best life is one of character, morals, and honesty. There are shortcuts you can take, but in the end God just wants us to know and honor Him. And, that’s what we plan to do. All 4 of our studio CDs are quite unique and different. We’ve experimented a lot with our sound learning who we want to be musically and it shows differently on each recording. Our CDs are all available through our website and we have some other cool stuff there, too. We also have iTunes, Amazon, and other internet sites selling our songs as well. 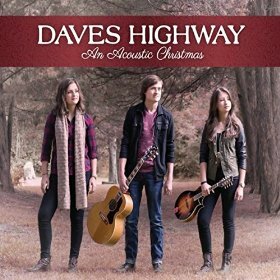 Our current CD was released on November 11 and is titled Daves Highway- An Acoustic Christmas. We believe this is our best work thus far. Even though we didn’t write the songs, our interpretation and arrangements of these classic tunes are pure Daves Highway. We recorded the entire record in about a week in a studio tucked away in the mountains near Asheville, NC. The songs were produced By Andrew Reed who made them just the way we wanted them, and we think you’ll love every song! We also have a live DVD/CD in the can and ready to distribute. We made the live set back in 2011 at the Altamont Theatre in Asheville, too. It will be neat to look back at the fun we had back then. We can’t write another word without saying a big THANKS to all of you who have read, liked, subscribed, and shared our posts on Facebook, YouTube, Twitter, and Instagram. Please know that we do our best to read every post. Without you, we can’t continue to do what we love to do….and that’s making music! Daves Highway Spectacular Spiritual Singing Siblings! 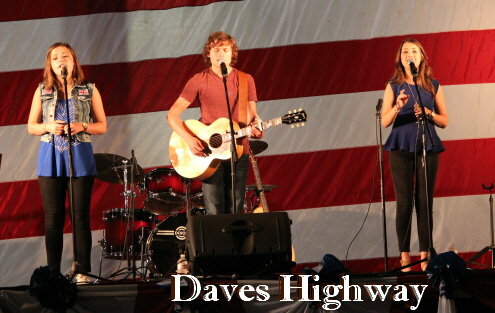 It’s been a little over two years since we have had the opportunity to feature Daves Highway here on Rivenmaster’s Place! Their first appearance here was back in November of 2009 along with a very well received article published on The Skykid.com the following January which I entitled “Mississippi Music Magic“. Since that time, this Tremendous Trio has been spreading their musical magic worldwide and have amassed more than Forty One Thousand fans on their Facebook Fan Page alone! This does not even begin to account for the thousands of fans who do not use Facebook! 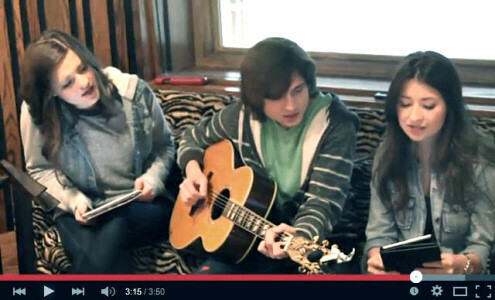 They recently shared in a newsletter that their videos published by Godvine.com had been viewed nearly 2 Million times! “All This Time” which has been Featured Here since it first released! They have also made numerous Television appearances, performed with famous musicians, and held many concerts across the U.S. 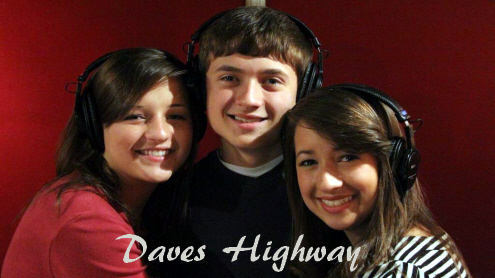 Commonly labeled as sibling internet sensations, Daves Highway is Delaney, Zachary, and Erika Daves from Jackson, MS. 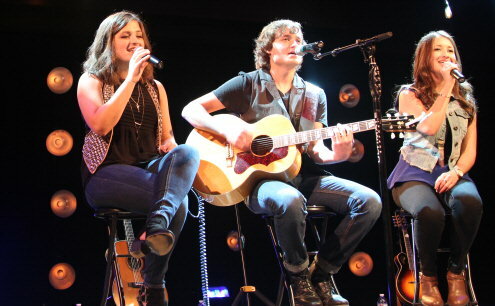 The group has developed an authentic sound that includes a mix of gospel, country, folk and rock music. And, they’ve enjoyed sharing their story and their lives with all who might listen.